Thanks to its deep learning toolkit, Microsoft is making huge strides in computer-based speech recognition. Just this September, a Microsoft research team achieved an error rate of 6.3 percent on the Switchboard speech recognition benchmark, meaning the software interpreted just 6.3 percent of all words it “heard” incorrectly. The researchers used a recurrent neural network architecture, called long short term memory. Less than a month later, training on a 30,000-word library, they were able to get that down to the 5.9 percent — about the same percentage of incorrect words that professional transcribers made on the same phone call recordings. It was the very first time that a computer has been able to recognize the words in a conversation as well as people can. It was “a historic moment,” said riding Microsoft’s chief speech scientist Xuedong Huang, who founded the speech recognition team at Microsoft in 1993. The beta of CNTK 2 improves performance, lets developers use it with Python as well as C++ to make it more widely relevant and gets a new name to show that Microsoft believes its deep learning framework is ready for a lot more than AI research. Cognitive Toolkit started as a framework for speech recognition, using not only the usual GPUs to speed up deep learning, but unusually, letting you take advantage of multiple GPUs on multiple machines to do distributed, massive scale deep learning. That way you don’t lose performance or accuracy when you work with bigger datasets. The voice recognition in Cortana is now created using Cognitive Toolkit, and the Cortana team says it’s increased their productivity almost ten-fold. “Before they adopted it, they felt like they were driving a Volkswagen; after they switched it’s like a Ferrari,” Huang said. Microsoft’s speech services team is using Cognitive Toolkit not just for speech recognition but to create more accurate acoustic models, so they can understand what you’re saying in a noisy environment like a party, a bus or an open-plan office. They’re also using long short term memory, and the improvements will show up in Cortana as well as Skype Translator. One reason that Microsoft moved CNTK from its original, academic-only release on Codeplex to full open source on GitHub was to expand it to additional workloads beyond speech — starting with image recognition — but without losing the impressive performance. The speech APIs and the Custom Recognition Intelligent Service in Microsoft Cognitive Services (a set of REST APIs you can call to use pre-built machine learning algorithms in your code) were built with the Cognitive Toolkit. CRIS lets you create your own custom acoustic models, by uploading samples from difficult environments along with transcriptions. Bing uses Cognitive Toolkit to discover “latent connections” in search terms to find better results — if you type “how do you make a pumpkin pie” you’re looking for recipes, even though you didn’t type that in. That kind of natural language understanding is quite different from speech recognition, and it needs a massive dataset to work on. “No other solution allows us to scale learning to large data sets in GPU clusters as easily,” Clemens Marschner, a principal software development engineer who works on Bing relevance, said. 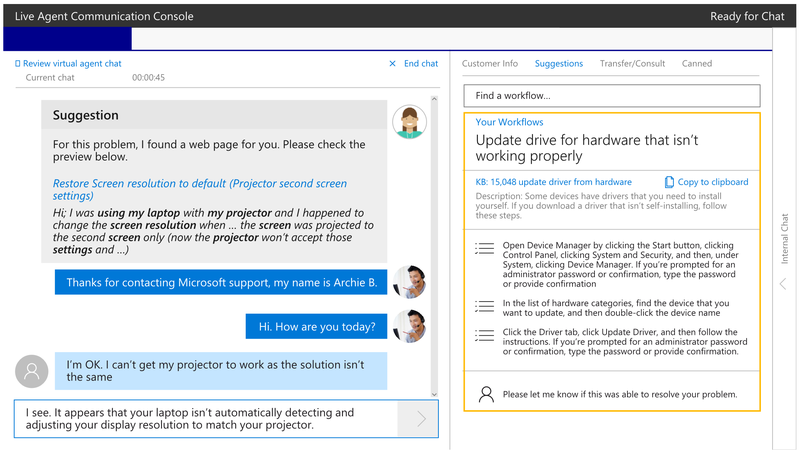 Natural language understanding is also driving a new customer support system that Microsoft is trying out, under the codename Skyline. The chat bot looks at what the customer says and suggests links to fix the problem; it was good enough to let 25 percent of users in the trial fix their own problem, rather than the usual 12 percent. If a human agent needs to step in to work on a complex problem, the bot summarizes the fault and the conversation so far, so the agent doesn’t need to annoy the customer by asking all the same questions again. One of the advantages of Cognitive Toolkit is the way you describe deep networks — which are usually very complex — as nodes on a directed computational graph with inputs and outputs; once you’ve described a network, all the computation to learn the network parameters is taken care of automatically. Because you don’t need to derive gradients or hand-code the interactions between variables for back-propagation, you can create complex computational networks by composing simple building blocks. The BrainScript network description language introduced in CNTK 1.5 lets you express very deep nets, beam decoding and other complex structures using infix operators, nested variables, function definitions, recursive function calls, arrays, and even lambdas. There’s a library of standard components that cover state of the art machine learning models like Deep Residual Nets for Image Recognition and Sequence-to-Sequence with Attention, and readers for easily inputting text and speech for deep learning training. And now you can call all of that with Python, instead of having to use C++. Python support will make working with reinforcement learning easier (since the majority of reinforcement learning libraries are written in Python). That’s a style of machine learning where the agent learns the best way to perform a task — anything from playing a game to navigating through a space — using trial and error, and rewards when it gets something right. 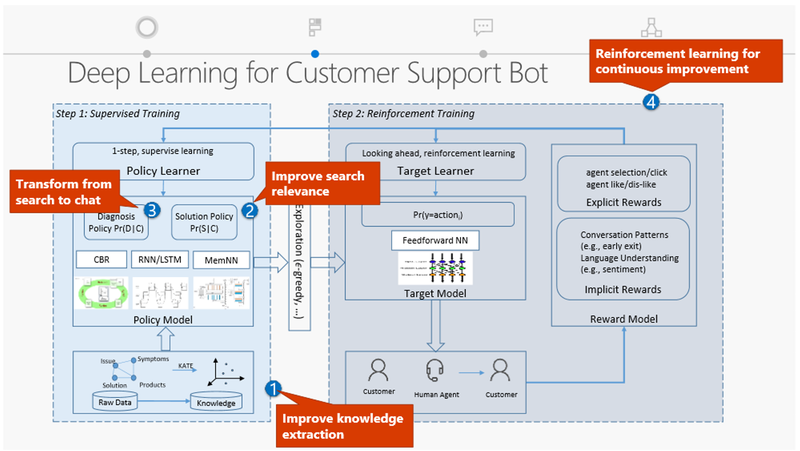 Often it’s used as part of a more complex machine learning system; the Microsoft customer support agent uses both long short term memory and other supervised deep learning methods, plus reinforcement learning to keep improving its results. The rewards can be explicit feedback from the human agent or the reactions of the customer – leaving the chat if they’re frustrated or thanking the bot if the information is useful. You’ll get the same performance using Python, and you might see a performance boost with CNTK 2. “Compared to the previous version, it delivers almost two times performance boost in scaling to eight Pascal GPUs in an NVIDIA DGX-1,” said Ian Buck, general manager of the Accelerated Computing Group at NVIDIA. That depends on which version you’re upgrading from, noted Huang. “CNTK 1 has been updated almost every month.” Version 1.5 introduced a parallel processing technique called Block Momentum that significantly reduced communication costs so you could scale parallel training across a large number of GPUs spanning multiple machines. On a 64-GPU cluster, that improved performance by a factor of more than 50. Version 2 is an improvement over that, although if you’re already using v1.8 the performance increase will be incremental. 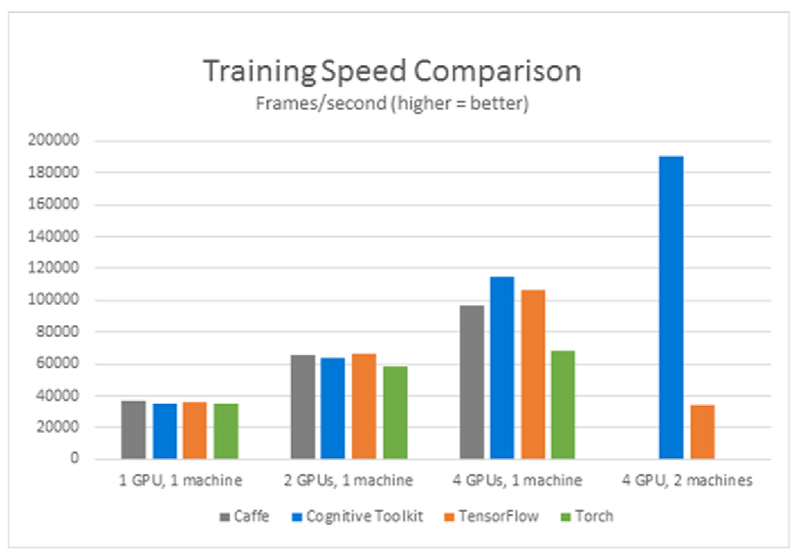 Cognitive Toolkit’s performance is already impressive, though. 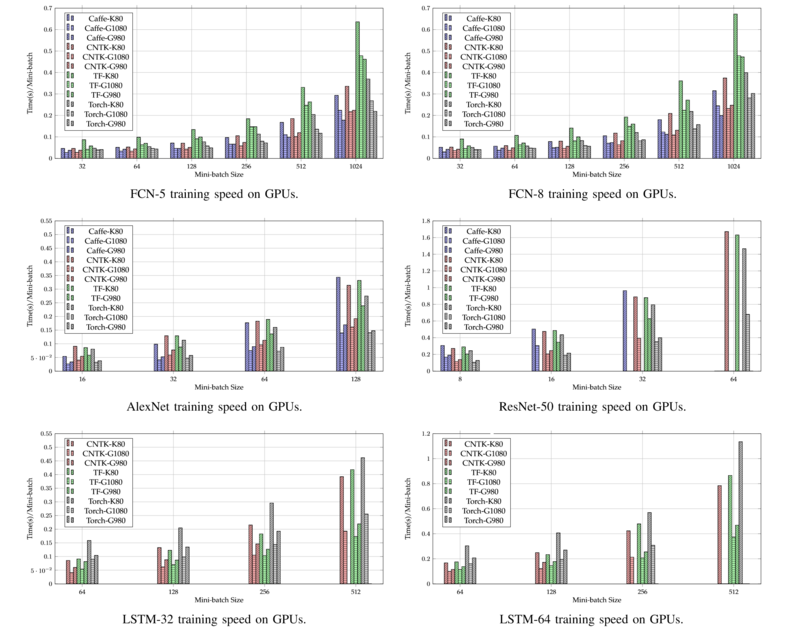 Researchers at Hong Kong Baptist University are running regular benchmarks on the most popular deep learning toolkits — CNTK, Tensorflow, Caffe and Torch testing popular workloads: fully connected and recurrent neural networks and two convolutional neural network architectures, AlexNet and ResNet. 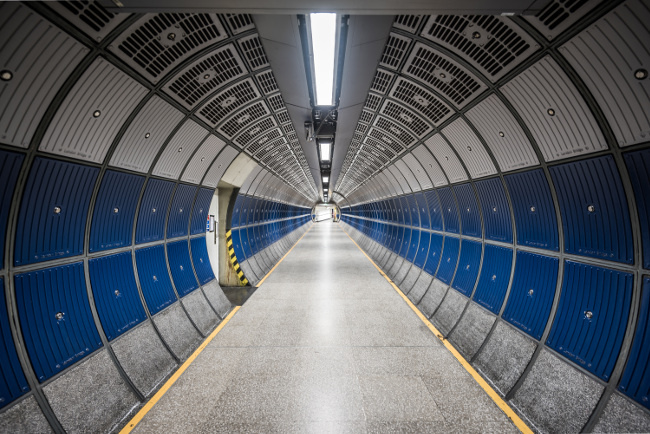 Feature image by Stefan Kunze via Unsplash.